Cozi TV has joined fellow classic TV digital specialty network Me-TV and is now being rated nationally by Nielsen. I believe that makes Cozi TV one of just three diginets that are rated (the third is Bounce TV). The only website I know of that publishes weekly ratings for all broadcast networks is Media Life Magazine. They started included ratings for Cozi TV last month. For the week running Monday, February 2nd through Sunday, February 8th, Cozi TV averaged 140,000 viewers in prime time with 20,000 of them in the adults 18-49 demographic. Its household rating/share was 0.1/0 while its A18-49 rating/share was 0.0/0. During the last week of February, which ended on Sunday, March 1st, Cozi TV averaged a slightly higher 150,000 viewers overall and 30,000 in the A18-49 demographic. The diginet has a long way to go to reach Me-TV, which averaged 580,000 viewers (100,000 in the A18-49 demographic) during the same week. While that may not seem like a huge number of viewers (and it isn’t), when Nielsen first started reporting ratings for Me-TV back in April 2012 it was averaging around 330,000-340,000 viewers a week, so 580,000 is something of an improvement. Me-TV is currently available in 91% of households compared to just 55% for Cozi TV. I LOVE cozi TV!! It carries so many of the older shows I love to watch. The shows are ones I wouldn’t be worried about my grandkids watching…good, wholesome TV. Please keemup the good work!! I’m 36 & my 9 yr old & I watch CoziTV faithfully. She loves little house & that even sparked an interest in the new Anne of Green Gables series on Netflix. I prefer shows like reading rainbow, little house, waltons, full house, etc for her as those are the shows I grew up watching so can appreciate this channel. Thank you for providing it. They put on too many episodes in a row of some shows, such as Frasier & The Nanny. Both of which have a very limited audience I’d think. I watch Cozi mostly on Saturday nights, with two episodes of Ironside as well as a two hour Murder She Wrote. 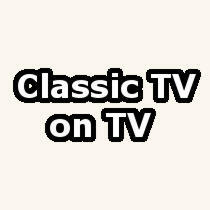 Also on Saturdays you’ll find beloved shows such as The Six Million Dollar Man, The A-Team, The Bionic Woman, Columbo, etc. During the week I usually only watch Murder She Wrote during the afternoon and then I changethe channel.. I never cared for Frasier and I’ve seen every episode of The Nanny twice I think. I wish they would replace some of the too many nightly episodes of Frasier and the Nanny with episodes of Ironside. I love that show! I can’t pick up MeTV with an antenna where I live so I’m stuck with Cozi. At least AntennaTV has some good shows too!